You haven’t used a mind-blowing camera until you lay your hands on a 360 VR camera. These are futuristic that transform the way you see images and videos. Imagine owning a lens with the ability to produce graphics that match movies such as the Matrix, Johnny Mnemonic and Inception? That’s what you get from a 360 camera – virtual reality (VR). 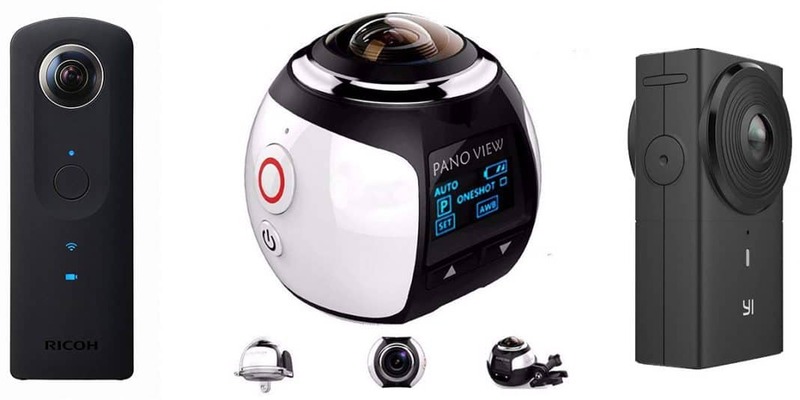 They capture all angles and give you high-quality spherical footage in 360o. You can edit the stills and videos using smart devices like Android or iOS and your computer. Because most of them have incredibly high resolutions, there’re best viewed with a VR-headset or high-end screen. Here’s our review of the best 360 cameras for taking professionals VR photos and video. Insta360 One X is the best overall 360 camera. Since the release of this bad boy, competitors have struggled to meet up in both rave reviews sales. To use the Insta360 One X, there’s a mobile software that allows you to consume the graphics. Don’t worry, the software can be used even by a novice. With this app, you can edit your pictures, videos and share them on social media or other devices. The Insta360 One X comes designed in a slim shape that makes it easy to hold and slip into any pocket. It has a dark, easy on the eye design. What are the key specs of the Insta360 One X? Compatible with most high-end smartphones including iPhone and Android. To use the Insta360 One X, you need to first download the companion app and perhaps get a selfie stick. The battery lasts for about 60 minutes. We expected it to last longer. Good thing it allows for USB charging. The image and video quality it produces is simply brilliant. 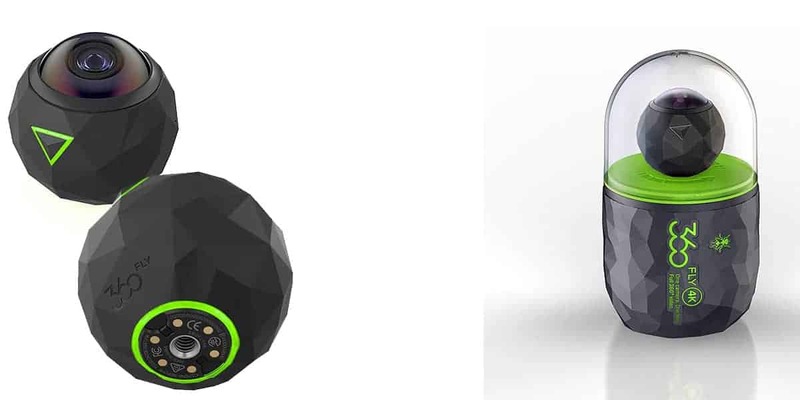 The GoPro Fusion 360 is another superb option in the market for capturing spherical photos and videos. If you’re looking for a waterproof 360 lens we’ll highly recommend the GoPro Fusion. 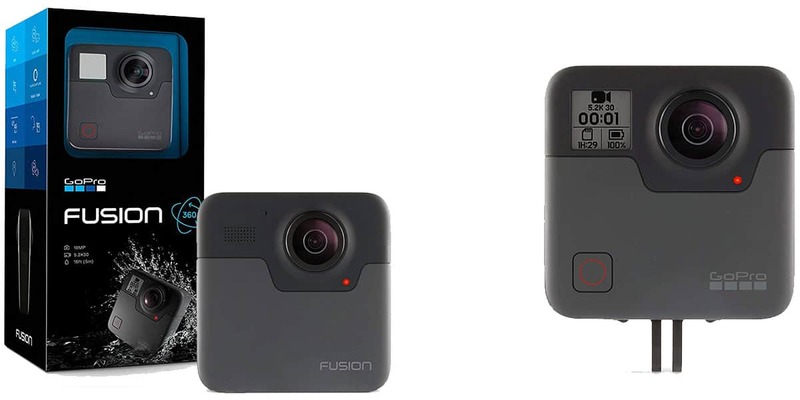 The design of the GoPro Fusion shows how much thought the company put into the aesthetics of it. 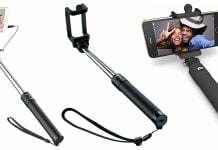 It’s slim and smallish and comes with a mountable stand so you don’t necessarily need to get a selfie stick for it. This Fusion can capture videos in 5.2K resolution; using the OverCapture feature it can get full HD images in 360-degrees and convert them into a lesser resolution like 1080p. You also can use this camera to create a 16:9 video from any footage. Like the Insta360, this one has a smartphone app for Android and iOS users. Or you can download the GoPro Fusion Studio software for PC. The GoPro Fusion has a QuickCapture and Photo button for instant recording which works even when the device is off. It can do post-framing. The feature loaded into this small high-end device complements its high price. Look at the specs. What are the key specs of the GoPro Fusion? But the GoPro Fusion is a little fragile. It’s not the durable 360 camera we saw. 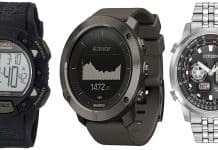 Garmin is known to produce the highest quality sports watches; that much can be seen from our review of best fitness watches for women. The Garmin VIRB 360 proves the company is quite versatile. The VIRB 360 is one that every videographer would be proud to own. They can survive in water up to 10 meters deep. That means a few splashes of water won’t do anything to hurt it. This is a really good outdoor camera. The VIRB 360 has a rectangular sturdy build, with a matte black body. This has a monochrome LCD display. You’ll find a couple of Wi-Fi buttons which means you don’t need a smartphone app to control the device. The device gives you the feel of a truly professional 360 camera. It comes with a tripod mount that lets you take stills without much vibration. You use it with accessories from other manufacturers like GoPro. The Garmin VIRB 360 takes videos at 5.7K resolution. Which can be edited using the Garmin VIRB software. What are the key specs of the Garmin VIRB 360? This is expensive but it has all the features we were looking for. Another major catch for it is its durability. They are not fragile and it’s waterproof. Not many 360 cameras come with an LCD screen but Outerdo does. This device goes beyond being a 360. 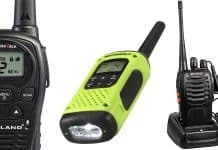 It has a voice recorder, motion detector and sound detector. You can control it with your voice. The Outerdo 360 panoramic can take 3D videos, although we weren’t too impressed with the quality we saw. But we had no complaints about the stills quality. As the name implies, this can make panorama videos in 4K resolution. And VR photos too. It has built-in Wi-Fi. The battery is removeable so you can carry a backup for more power. The Outerdo has a mobile app known as the XDV360. The app is easy to use and connects easily to the camera via Wi-Fi. 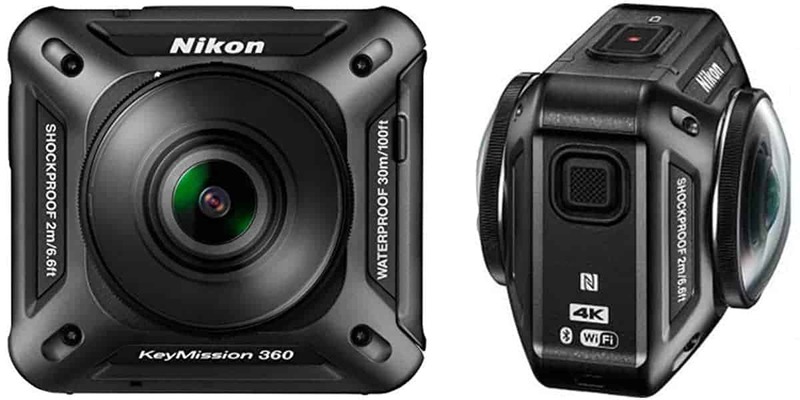 This is described as a sports camera because it’s quite rugged and can take pictures from under water. Call it a 360 action camera and you won’t be wrong. This is an affordable VR camera. The Outerdo 360 has some great features on it. Imagine a camera that can take high-quality 360-degree images from underwater, detect motion and sound? That’s it for you. Also, the app won’t give you any major hassles. Even if you don’t find the design catchy, the LCD screen on it will change your mind. Let’s start by telling you that the Yi 360 can shoot videos in 5.7K resolution. This was launched in early 2018 and has continued to earn good reviews ever since. The Yi 360 has built-in Wi-Fi and Bluetooth. 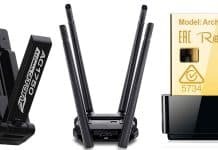 It can do live streaming at with speeds of up to 6mbps. The battery is removable. It has a Micro HDMI port, a USB type-C port and a removable microSD card slot. It doesn’t suffer from overheating. The battery can last for up to a couple of hours. This impressed us so we labeled it the best 360 camera for battery life. The photo and video quality can best be described as decent. Few photographers will have a complaint in that regard. For the design, we were far from impressed. The device is not sleek. But being sleek is not the job of a good camera. Taking good pictures is. The image and video quality is the first catch of the Yi 360. The device is tough but can’t withstand water. The battery life is the best we saw. Generally, it doesn’t give hassles especially when it comes to converting and transferring footage to the computer. Did we mention it’s compatible with iOS, Android and Windows? 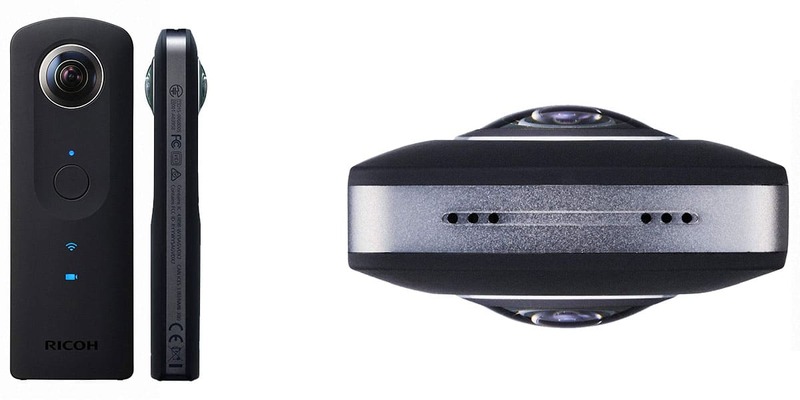 The Nikon KeyMission 360 as the name goes is a dual lens 360 camera. Coming from Nikon we expected a lot from this unit and it came good on most fronts. The first thing you notice about this is that it’s small and sturdy. You can easily hold it between your thumb and index finger. A good way to use it is with a tripod or single mount, although you can easily just hold it. Given that it has dual lenses, the Nikon KeyMission 360 is one of the great options in the market for capturing spherical images. It doesn’t have a touchscreen – it doesn’t even have a screen to start with. You can only capture footage by pressing buttons on the side of the device. Pressing those button will start capturing images even when it is off. The thing with that is, you may accidentally press the button and take pictures and videos you don’t want to. The Nikon KeyMission 360 can take 230 shots, the equivalent of an hour of 4K video streaming, before it needs a battery recharge. They have a built-in Wi-Fi and uses the SnapBridge 360/170 app. These are the major downsides of this fine camera. The WiFi connection is sometimes unsteady. And the app functionality is a major let down. The Nikon KeyMission 360 comes across as a nice 360 camera but it has its challenges. Especially regarding the WiFi connection and the mobile app. Another catch people look out is the battery. For that, the Nikon KeyMission 360 doesn’t come up for much criticism. The best budget 360 camera we saw was the Samsung Gear 360. The device is cute, has a smooth finish and good ergonomics. You’ll find it easy to hold and carry. Actually, the Samsung Gear 360 was designed like the best ergonomic mice we reviewed earlier. 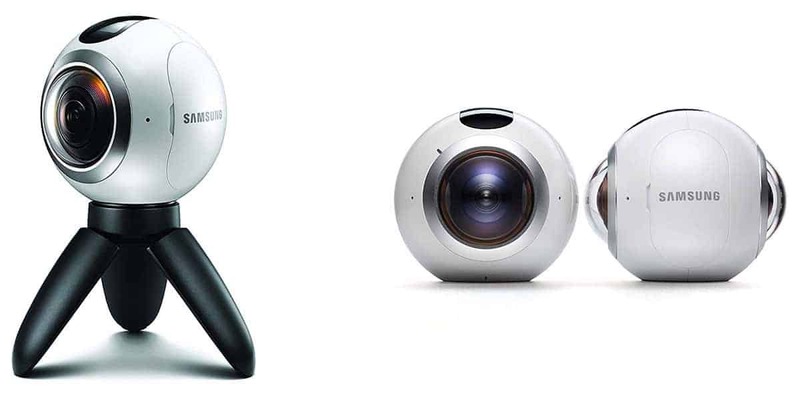 The Samsung Gear 360 is only compatible with Samsung Galaxy phones and iPhone 6s or later versions. Although when using it with the iPhone you can’t preview of any footage you’re taking. The Gear 360 captures video in 4K resolution but the stills quality is just about 8MP. Overall though, the video and picture quality is good but not the best here, unless you’re on a tight budget. Videos you take with this will be saved on the microSD card that comes with the device, you can then download them to your smartphone. There’s a mobile app for the Gear 360 known as the Gear 360 app. With it you can edit your photos before sharing them with other devices or on social media. The battery of the Gear 360 was below par for us. The Samsung Gear 360 was designed nicely; you’ll love it at first glance. But it’s not a rugged camera even though it can survive falling into water. We don’t understand why Samsung had to reduce the stills resolution to 8MP when the previous version of the Gear 360 was around 15MP. The 360Fly is a beautiful VR gadget that beats most of its competitors in terms of image quality. It’s noticeable that the photos taken with 360Fly are bright and show no sign of stitching. The 360Fly is built like a golf ball. That’s really how it looks – a sleek black golf ball. It has a 64GB storage capacity which is large. But it doesn’t have a microSD card slot. Guess it’s because they tried to make it as compact as possible. It is tough. From the hard texture, you’ll get the feeling that this product is durable. It’s a waterproof and can last longer than others in the water. 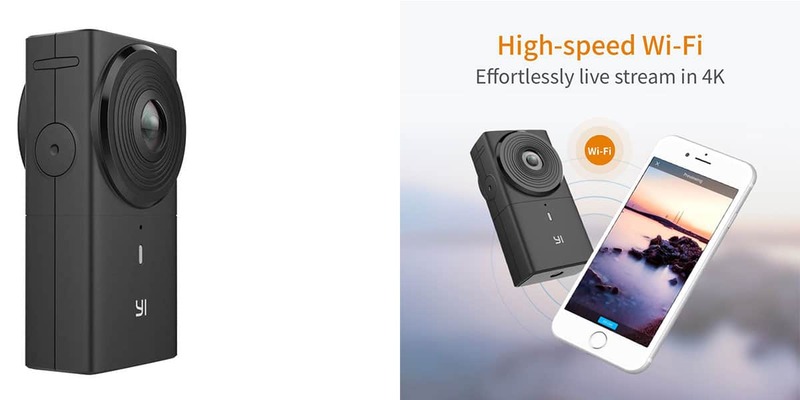 While shooting with this, you get a live preview on your smartphone before you save. The highest video resolution of this is 4K but it still doesn’t shoot full 360-degree videos for big screens. A challenge for this is in converting video footage to traditional formats. The app is easy to use but slows down terribly when processing footage. The 360Fly is a great choice if you’re looking for a sphere camera that’s durable. It has some cool features – like letting you see a live preview of your shots. And allowing you to easily upload your footage to YouTube. 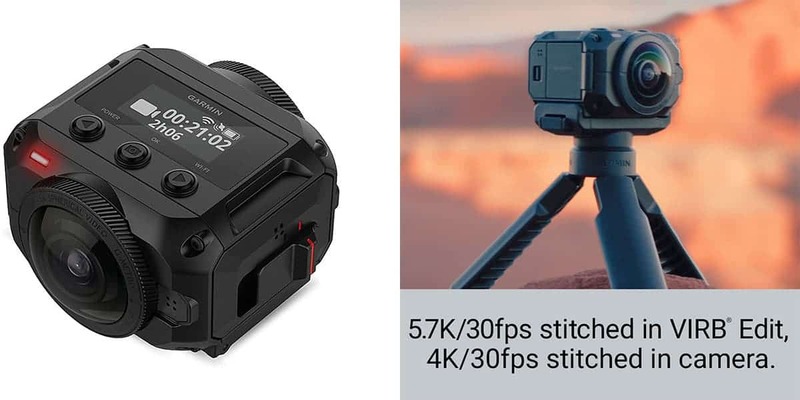 But the battery doesn’t last long and it doesn’t produce the highest quality videos we were expecting from a 4K camera. They’re calling it the Chinese Dragon and with good reason. The sphere cam from Xiaomi is another astute choice for 360 cameras. People are sometimes skeptical with Chinese products, but Xiaomi is a tech giant in China that stands for highest obtainable quality. In fact, the Xiaomi Mija Sphere is one of the best value VR camera money can buy today. For the specs, the Xiaomi Mija can take stills at 23.8MP. Video resolution comes in at 3840 x 1920 at 30fps which is about 4K. 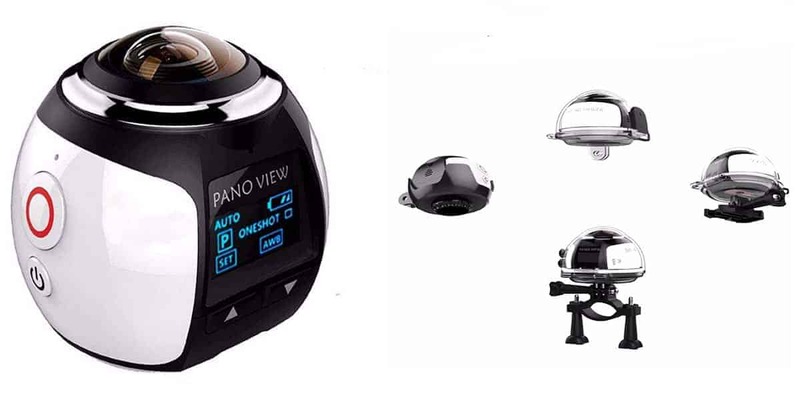 It has Gyroscopic sensors and features dual lenses. You get a protective case, USB cable and a mini tripod when you buy it. The Xiaomi Mija has a square design, but we like the smooth finish. You can see the two lenses protruding from the side telling you this is a 360 gadget. Around it, you can see two buttons for WiFi and shutter. And then there’s a red power button. The camera can be charged via USB and it has a microSD card slot. There’s a user manual in English that tells you in detail how to use this. The battery life doesn’t last up to 60 minutes when running 4K video at 30fps; clearly because it overheats. There’s an Android and iOS app for consuming your image on a smartphone. However, the app is named in Chinese so we had a little hassle finding it on the App Store. The picture and video quality is great. Imagine getting a picture quality of 6921×3456. 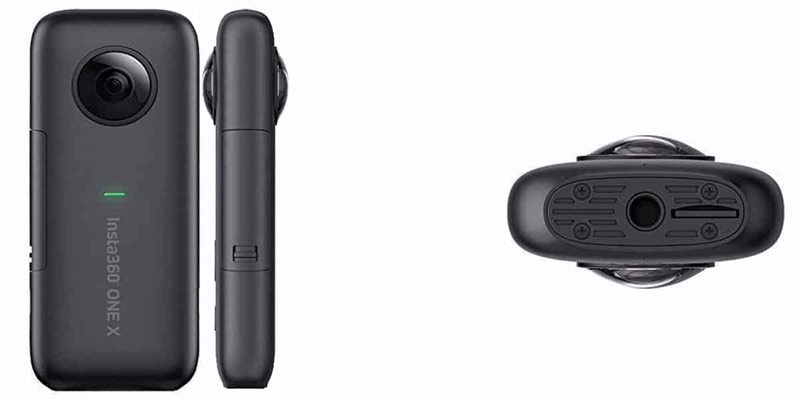 The Ricoh Theta S is a dual lens recoder any photographer would love to own. This camera can shoot brilliant 360-degree photos and videos too. What the Theta S does is try to make the process of using a 360 camera as easy as possible. You don’t need to convert the video or photo taken by it before sharing it on social media. The Theta S takes stills in 12MP resolution. It gives you brilliant photos at that resolution but when it comes to videos, that’s where it’s a little lacking in quality. The Theta S can’t create Full HD videos. The Theta S has an impressive design with a rubberized finished to give you a good grip. Around it’s side there are buttons for camera mode, power and WiFi. This doesn’t have a screen, but you get a live preview of your footage on your smartphone. This comes with 8GB memory which is non-expandable. That may be a major limitation if you’re a photographer that takes so many photos at a time and need expandable storage. The Theta S has a cool, simple design. The case is rubberized which makes it comfortable to grip. You can see the two identical lenses adorning the camera on the front and rear. The control buttons are also visible on the side. If you want to buy a camera that can take continues videos, the Theta S is for you. The Theta S doesn’t spot a pocket-friendly design like the other VR cameras we saw. 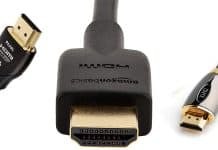 This connects easily with Windows and Mac PCs. But we had issues connecting to the mobile app and doing mobile sharing. Before setting out to buy one, what you have in mind is to get a device that can take the best quality photos and videos. But what are the major things to look out for when buying a 360 camera? The resolution at which a 360 camera takes stills and videos will define how much quality you’ll get from it. Mind you, not all of them will give you the picture quality you see in movies. Any 360 camera you buy should be able to produce 4K resolution video at 30fps. Also for stills (photos), your camera should be able to give you a maximum resolution of at least 14MP. Look for a gadget that has good stabilization. This comes in handy if you take pictures and videos while moving. A camera with good stabilization will help you smoothen any vibrations that may occur in the footage you take. But you’ll need to use the software to make it happen. We talked about stitching a lot in this review. The thing with stitching is that when 360o pictures are taken, different images are joined together to give you that spherical image you adore. The point where these images meet could be visible and give the viewer an idea of what’s going on. That’s why you should buy a 360 camera that doesn’t show the effect of stitching. The only way you can know is by checking out images or videos taken by these. Do you see a visible line where the images meet? If yes don’t buy it. Nearly every 360 camera you find will have a mobile app, some even have desktop software. Kindly buy a one that the mobile app and software are easy to use and stable. Some of them give serious hassles so be on the lookout. Again see our reviews. Most you’ll find will be sleek and small. Some are even as small as a golf ball like the 360Fly 4K. The thing is, getting a small device that’s tough and durable can be a challenge. Besides durability, you may want a waterproof one or at least can survive splashes of water; if you like taking your lens out for a adventure. Do well to study the product description before buying. The 360 camera is very likeable. The photo and video quality they produce are unrivaled. Owning a small device that brings you closer to virtual reality cannot be too expensive. Videographers and photographers would be doing their careers a world of good by owning a 360 camera. 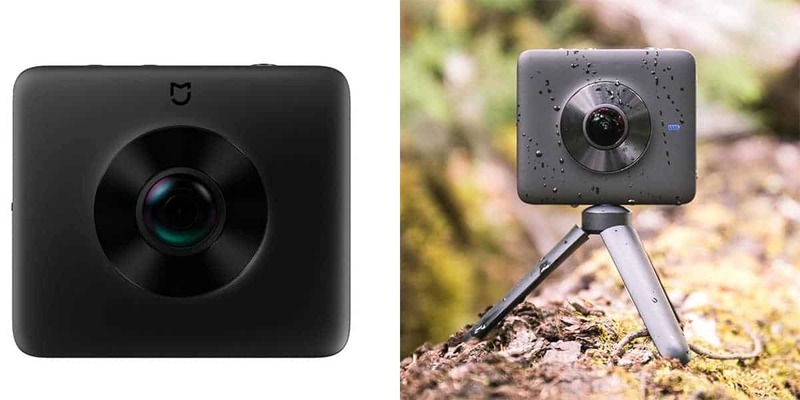 The challenge boils down to choosing the best 360 camera for you. Hence the purpose of our review and buyer’s guide. It’s time for you to make a choice.